Dubai, UAE, March 30, 2019: From the best-selling Murano Collection of Perfumes comes the new Andalusian Soul, an audacious fragrance characterized by refined and fresh acacia, elegant and sensual vanilla, and intense amber, further enriched by touches of cistus and rum. The sublime mix of precious and refined raw materials is made even more fascinating by balsamic accords and aromatic sage. This perfume is dedicated to the Muda di Barbaria and to the raw materials traded through it. This maritime route connected the Venetian republic with Morocco and southern Spain, trading mainly in savory herbs, resins, rosemary, orange blossom, and Indian sandalwood. 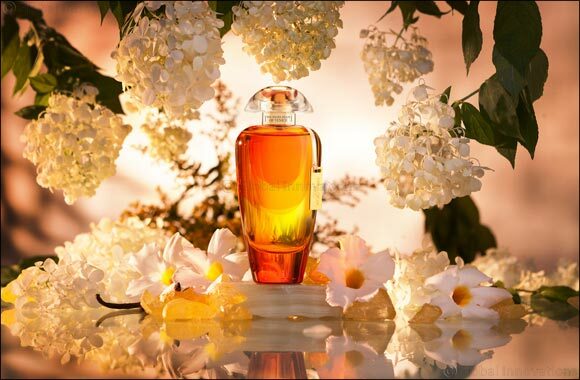 The ambience expressed by this extremely feminine fragrance evokes the warmth and mystery of its sunny lands of origin. The elegant bottle, in shades of yellow and orange, is also reminiscent of the warm atmosphere of Morocco and southern Spain.